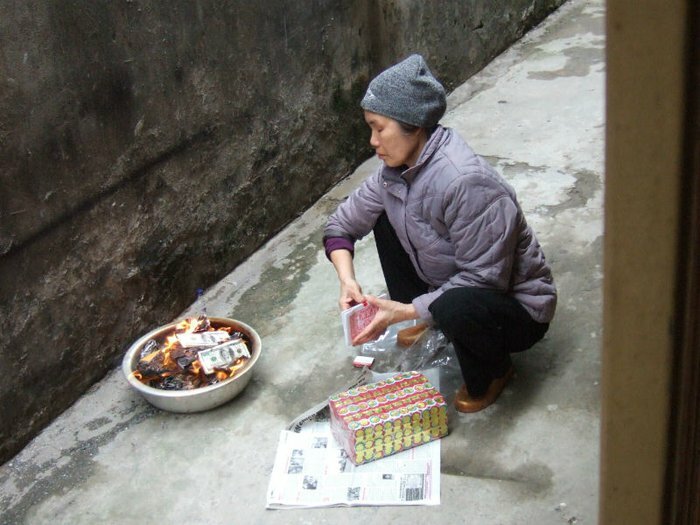 A Chinese woman burns ‘hell money’ for her ancestors. Photo by Clemens Marabu. The traditional Chinese festival of Qingming is dedicated to remembering and honouring ancestors. Qingming festival takes place every year on the 4th or 5th of April, depending on the lunar calendar. It is a time of great activity and socialising, and is still as much an important date today as it was 1,000 years ago. A thousand-year-old scroll by Zhang Zeduan, titled 'Along The River During Qingming Festival', depicts the lively hustle and bustle of the festival. 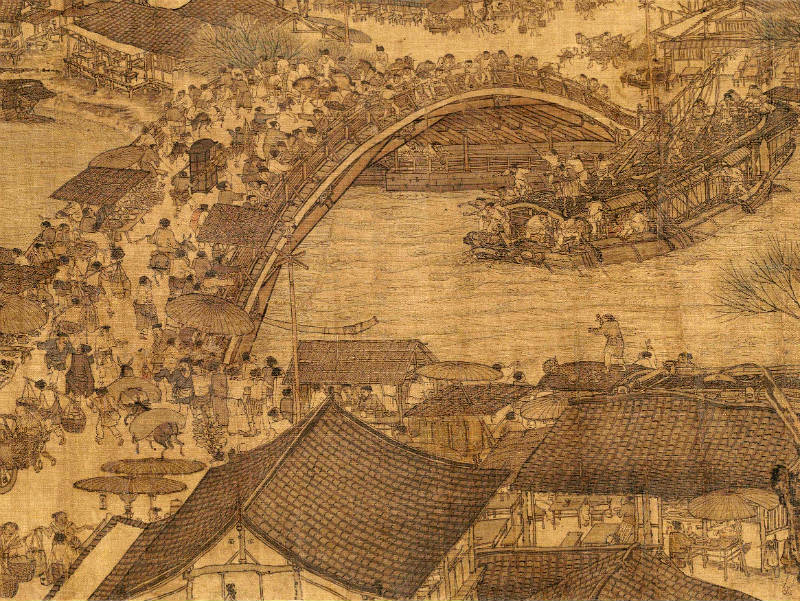 A small section of Zeduan’s Qingming painting of the river through Kaifeng city. To celebrate the festival, people visit the final resting places of their loved ones to clean graves, leave offerings and burn Joss paper (faux money made of paper). One of the most popular activities to honour dead ancestors is the sweeping of their tomb. Because of this important ritual, Qingming festival is also known as Tomb Sweeping Day. Why is the Qingming Festival celebrated? For thousands of years, Chinese rituals honouring dead ancestors were frequently practised by royal families and wealthy officials who threw lavish and elaborate ceremonies to commemorate their loved ones. The modern version of Qingming Festival was formalised in 732, when Emperor Xuanzong of the Tang Dynasty announced that the ritual would take place once a year at ancestors’ graves on the first day of the Qingming solar term. 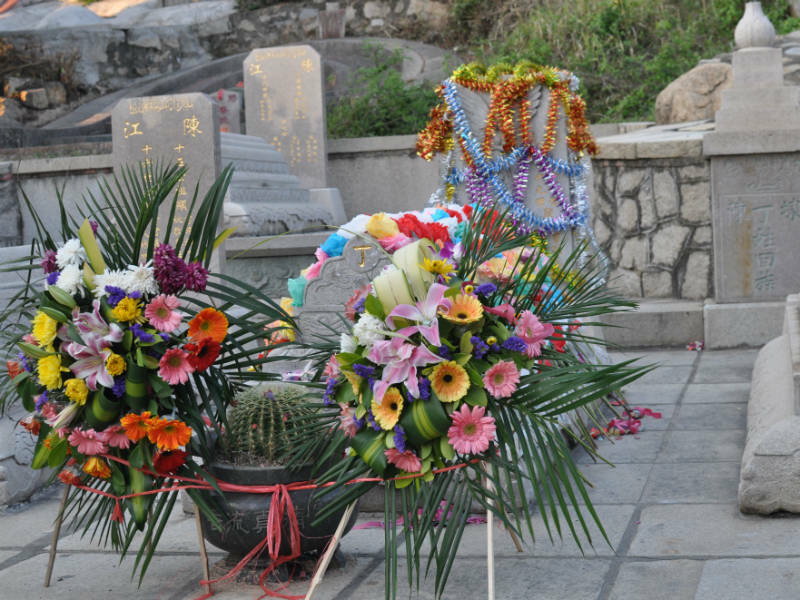 The practice of sweeping tombs and offering respects slowly became widespread on the first day of Qingming. Qingming Festival or Tomb Sweeping Day was made a public holiday in mainland China in 2008. A Chinese grave decorated after an annual Qingming cleaning. Photo by Scott Edmunds. What does Ching Ming mean? Qingming Festival is also called ‘Ching Ming’ festival which literally means ‘clean and bright’. Apart from sweeping the graves of their ancestors, the Chinese also remove weeds around the graves, add fresh soil and polish tomb inscriptions. They may also leave flowers at the gates and stick willow branches on the tomb or on their gates and front doors. 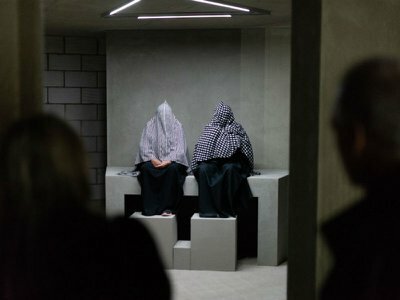 What happens on Tomb Sweeping Day? Qingming is regarded as the start of spring, and often spring plowing begins in the fields the day after Qingming. 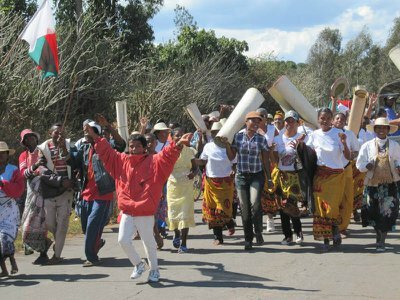 Festivities are held across the country, with singing and dancing. Families spend the day together and, traditionally, young couples begin formal courtship. Other Qingming traditions involve flying kites and eating qingtuan, a kind of bright green dumplings of rice and barley grass. 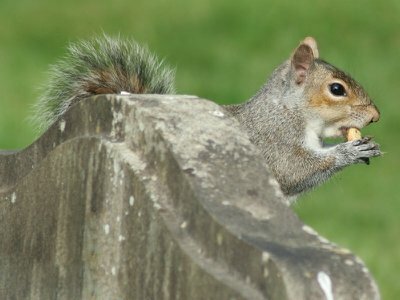 Other symbolic foods may be eaten or offered to the ancestors, along with fresh flowers to celebrate the coming of spring. Qingming is a perfect mingling of life and death. The festival looks back to winter and forwards to spring; just as it commemorates the dead and celebrates the living. Read about the Japanese Obon festival or Tibetan Sky Burials in our Death Around the World series.